What does robotics and cutting-edge tech have to do with manufacturing? A lot. Automation, robotics, and process development are becoming completely integrated in the manufacturing industry. If you’re not sure how, this podcast is for you. Listen as we talk to Dan Allford, President of ARC Specialties, a manufacturer of one-of-a-kind welding and welding automation machinery. Dan shares how he built his first robot in his garage in the early 1980s and turned that passion into a thriving company. 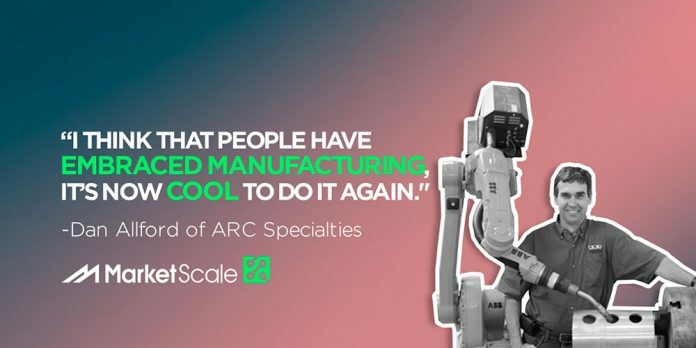 By constantly looking for new ways to build and design machines, ARC Specialties solves problems for its customers. Listen to this week’s MarketScale Software & Technology podcast to learn more.